Aaaaaand our Christmas cards are (mostly) OUT for delivery to mailboxes of friends and family across the country! I love this time of year when cards pour in with smiling faces of the people we love most! Whether you’ve been following my blog for years or pop in occasionally, thank you for reading along and please consider this electronic copy our Christmas card to you too! 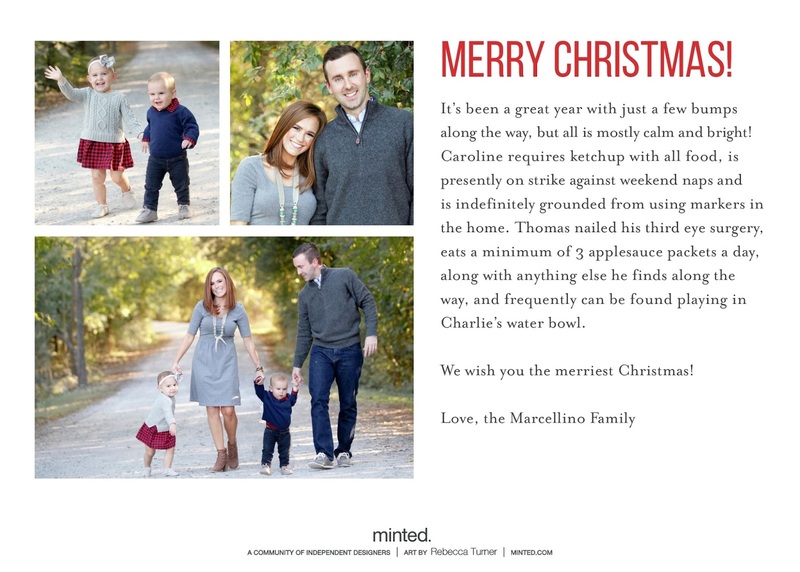 We ordered our cards again this year from Minted! I love Minted for their high quality, thick paper, variety of designs and of course their FREE recipient addressing (which saves me a tremendous amount of time)! Also, thanks to the professional proofing process my cards were printed without a few typos! PS – Thank you all for helping me select our photo! Love the photo you ended up choosing! Such joy. And the little write-up is perfect. I need to do that next year. It makes it even more personal! Love your cards! So cute!!! We just sent ours out as well! It is one of my favorite times of the year! What a fabulous family blurb. The markers hahaha (crying emojis), I remember that snapchat. I love your card. I hate those bragging ones! This is very fun. Love your card! Those pictures are perfection. I love your cards! They turned out so perfect and capture your fun spirits and love for each other! LOVE! 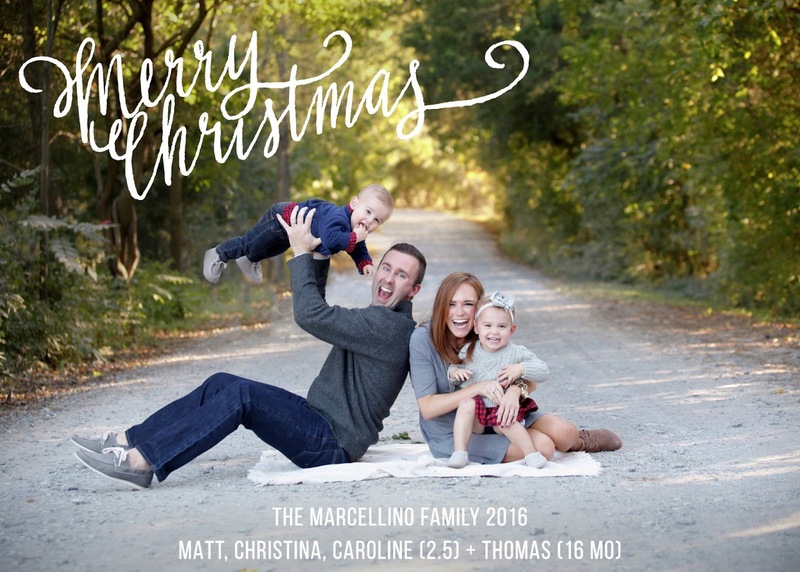 Your Christmas card is perfect! I love Minted too…mostly because they address the envelopes for you in a fun, festive font/design! Merry Christmas to your family! LOVE how your card turned out! So beautiful! I love this so much!! Looks fantastic – you have such a beautiful little family! What a gorgeous card!! I love it!!! Awe, love the Christmas card and the update on the back, so cute! Merry Christmas! I love it! So perfect! I think that's the perfect shot of how life is this year for you guys! I love it!! It's perfect!!! Mine are sitting at my office just waiting to be sent… they came in the day after we left and it's been two weeks of waiting. I can't wait to see them!!! I love your note on the back – it's so cute!